provide land developers with specific direction in undertaking the stormwater component of sustainable urban design. The driver for the Manual was large-scale land development planned for the City’s Eastern Hillsides. 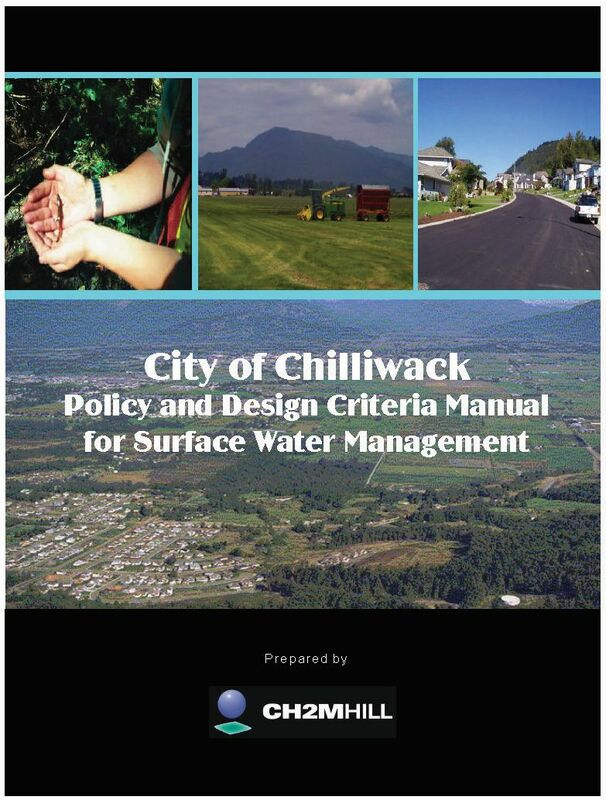 The City of Chillwack’s Manual was developed through an inter-departmental and inter-agency process that also included community participation. “Through this process, the group developed a common understanding regarding core concepts. 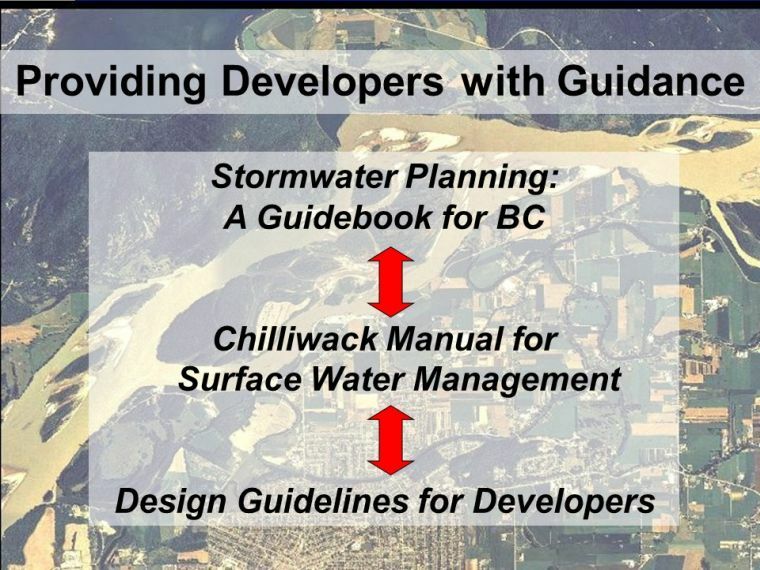 This resulted in consensus on the vision and the direction of the Manual, particularly with respect to the framework that the Manual provides for future rainwater-related action in the City of Chilliwack. The Manual replaced the drainage section of the Subdivision and Development Control Bylaw,” stated Dipak Basu, Land Development Engineer, in 2002. “The process went on for two years. The realtors, developers, engineers and surveyors were all invited to participate and make their comments known. “The Manual was developed as a case study application of Stormwater Planning: A Guidebook for British Columbia, a collaborative effort of an inter-governmental partnership that was initiated by local government,” added Kim Stephens, project manager and principal author of the Guidebook. Today, he is the Executive Director, Partnership for Water Sustainability in BC. 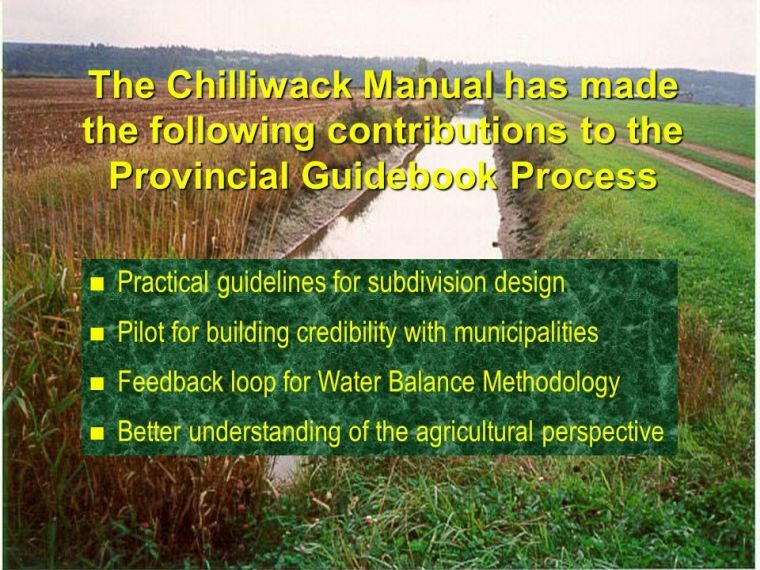 “Through interaction with the Chilliwack community during its development, the Manual also provided a feedback loop for the Guidebook process. 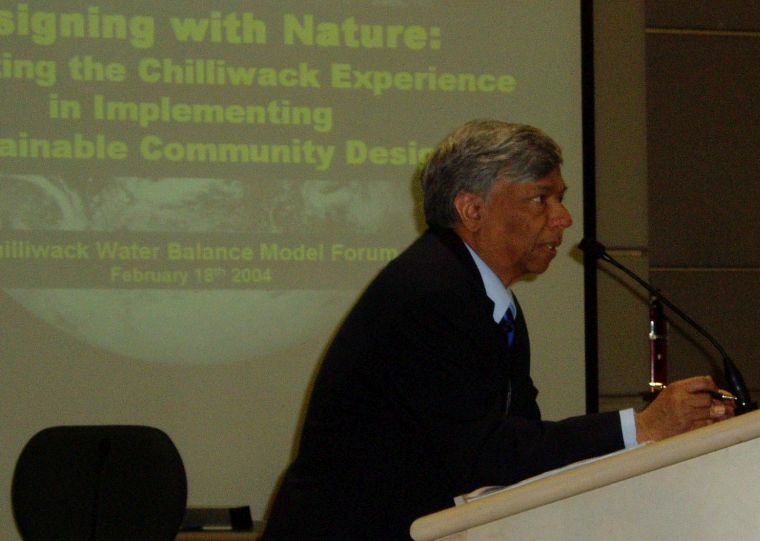 The Manual incorporated the content of the Bylaw that it replaced, and is designed to manage both flood risk and environmental risk,” emphasized Dipak Basu. If we manage the runoff volume, and if we mimic the natural flow pattern in streams, then we can… prevent increased stream erosion, prevent increased risk of flooding, and protect aquatic habitat. The Guidebook introduced the Integrated Strategy for managing the complete spectrum of rainfall events (see image below). The Integrated Strategy expanded the scope and responsibility of drainage practice to include stream health.